It had been the backpacker refrain in southwestern Colombia for weeks. Our collective misery came from the fact that all roads to Ecuador were blocked by protesters, angry at a government they felt ignored them. We had no dog in the political fight and in a certain way our self-pity was absurd. The protesters were millions of poor citizens furious about important issues. We were a few dozen bored backpackers ready for a change of scenery. But we felt terribly persecuted nonetheless. We were trapped in Popayan and there seemed like no way out. The worst thing a backpacker can be is stuck. The point of the whole experience is movement – uninhibited, unplanned drifting from place to place – and the sudden denial of that key ingredient is painful, especially when you’ve grown accustomed to pure freedom. We were animals caged in zoos missing their expansive natural habitats; lethargic, depressed, anxious. We paced the halls of the hostel, sadly stared out of dirty windows, snapped at each other over the slightest disagreement. We were addicts screaming for a fix; desperate, angry, pathetically optimistic. We muttered the same conversations over and over again; “Have you heard anything?” “Any news man?” “I’ll bet it’s gonna end tomorrow. Tomorrow we’ll be good to go”. We were helplessly immobile. One of the worst parts was how hard accurate information was to come by. Everything was conflicting rumors – the paper said one thing, the people on the street said the opposite, the hostel staff was wary of saying anything definitive for fear of incurring the wrath of misinformed travelers. The one ‘fact’ that kept swirling around was that protesters had blown up part of a key bridge about two hours away at a place called Mojarres. That was the nature of the issue: small pockets of protesters in key areas. If we could only pass through a select few problem areas, we’d be on open roads all the way to Ecuador. Conventional ‘wisdom’ meant we were left with three options. Bribe a bus driver to drop us off at Mojarres. Find a way across the river and catch a bus on the other side. Take a 16 hour detour around the bridge through a place called San Augustin. 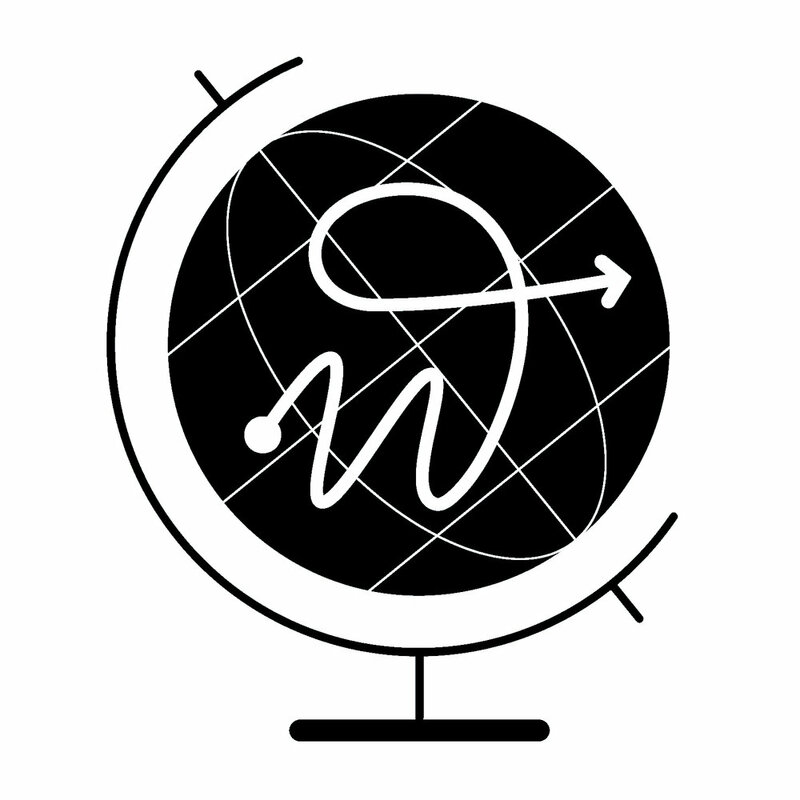 Backtrack to Cali and book a very expensive flight to Quito, Ecuador. Each option had significant, damning problems. The bridge at Mojarres was apparently surrounded by 5,000 protesters who had taken two police officers hostage. San Augustin was supposed to be worse than Mojarres and the entire “detour” idea was rumored to be a scheme run by bus drivers looking to take advantage of the situation. The road back to Cali (which we’d taken to get to Popayan in the first place) was being intermittently blocked by protesters. Furthermore, the Cali option meant that our days (and significant money) spent waiting for the overland route would have been wasted. Spending all that money when, after all, the protests ‘might be over tomorrow’? And so we waited, growing ever more frustrated. We were sitting around, rehashing the same, limited information. Plans were proposed and discarded, only to be considered again minutes later. It was the type of idea you laugh at until you start thinking. Why not rent our own plane? 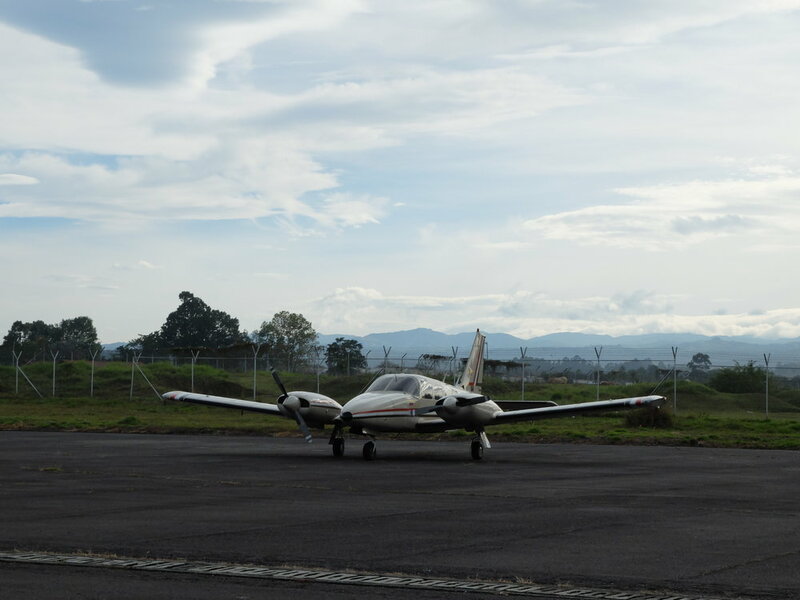 There was a small airfield in Popayan. There were a lot of us in the same position. We really just needed to get over one bridge and be on our way. And what other option did we have? We split up and started asking people if they knew anyone who could get us an aircraft. Almost any time one is looking to purchase something in a small, poor town an impressive grapevine kicks into action. No matter how seemingly outlandish the request - assuming the acceptable price is significantly high - calls are made, kickbacks are promised, and things get arranged at an alarmingly speed. Within a few hours we had an offer of a million pesos each – far too high but it proved the potential of the idea. A few hours more and we’d found someone who’d take 10 of us to Pasto (the Colombian town after the bridge) for 350,000 pesos per person. Still high, but we were desperate. We packed our backpacks as quickly as we could, all the while cursing ourselves for not thinking of this sooner. Rushing to the airfield, no one was sure this would work out. The idea of renting a personal plane still felt outlandish and unattainable and if we’d learned one thing about Colombia it’s that circumstances change quickly. There was always a catch, and upon meeting our pilot, we found out what it was. When you don’t speak a language fluently, you key on to the parts you know. For us, that was “diez personas”. That’s what we’d kept asking about over the phone – “Diez personas es possible, si?” “Si si” (“10 people is possible, yes?” “Yes, yes”). What he’d neglected to mention, or what we’d failed to understand, was that those 10 people would be going in 2 trips, as his plane was a tiny 5-seater. Annoyed but undaunted, we drew straws. I was regulated to the 2nd group, scheduled to leave at 4 in the afternoon. Knowing this meant the earliest we’d leave would be 6 (“Colombian time” is a concept you quickly grow familiar with here), we settled into the airport and watched our friends fly off in one of the smallest planes any of us had ever laid eyes on. We passed the hours reading and playing cards until a friend of the pilot arrived to tell us military exercises had grounded the plane in Pasto and the rest of us would need to spend one last night in Popayan. He assured us we would be in the air at 7am sharp the next morning. So close, yet so far. Joyfully, around 8:30 the next morning, we walked across the tarmac to board our private ride. It felt fantastic to be moving again, to be going somewhere unknown, to be back on the road. We fully realized that our entire ‘ordeal’ was ridiculous when looked at objectively – “over-privileged vagabonds forced to stay in rustic Colombian town longer than planned” – but that hardly mattered as we raced down the runway. Even the smallest loss of freedom can feel catastrophic to the type of travelers we all were, in a way that only those mobile few can understand. The sober man doesn't miss a drink, after all. We lifted into the air and smiled at each other. We'd figured our own way out of bad situation and this plane was going to land in a place none of us had ever been.